As a man of Yorkshire myself I couldn’t be prouder that my home county gave birth to three of the greatest writers of all time – Charlotte, Emily and Anne Brontë. There was another county, however, that can also be proud of their Brontë connections, and its as far from Yorkshire as its possible to get in England: Cornwall. (By the way, I should say at this point that the wonderful map above is courtesy of Cornwall 365, with illustrations by Keith Sparrow). In many ways the Cornish landscape is similar to the Yorkshire the Brontës knew, with the West Penwith moors mirroring the moors of the West Riding, but that, a rich history and a rugged coastline is not all the counties have in common as the Brontë sisters’ roots are in west Cornwall, and without two special women of Penzance there would be no Brontë books to read. Charlotte, Emily and Anne Brontë were born not in Haworth, but in Thornton, a village on the outskirts of Bradford in West Yorkshire. In April 1820, when Anne was just four months old, the family moved to a new home in Haworth, a place where magic and history was made. Their father, Reverend Patrick Brontë, was a Church of England minister who had become Haworth’s parish priest, a post he held for the next 40 years. Originally from County Down, it was while he was acting as an examiner at a Leeds school that he met another solitary heart a long way from home – Maria Branwell. Maria had made the arduous journey from Penzance to Yorkshire in 1812 to work for her uncle and aunt John and Jane Fennell who ran Woodhouse Grove School. It was at love at first sight when Maria and Patrick met and they married in December 1812. Things looked rosy for the Brontë family when they arrived in Haworth in 1820, but the following year Maria Brontë was dead after months of agony. Her last words were said to be ‘Oh, my poor children!’, and the person she said them to was one who would sacrifice everything to become a second mother to the Brontës: Elizabeth Branwell. Maria and Elizabeth were sisters, two of eleven children of Thomas and Anne Branwell, not all of whom survived childhood. Thomas Branwell came from a successful Penzance family of merchants. 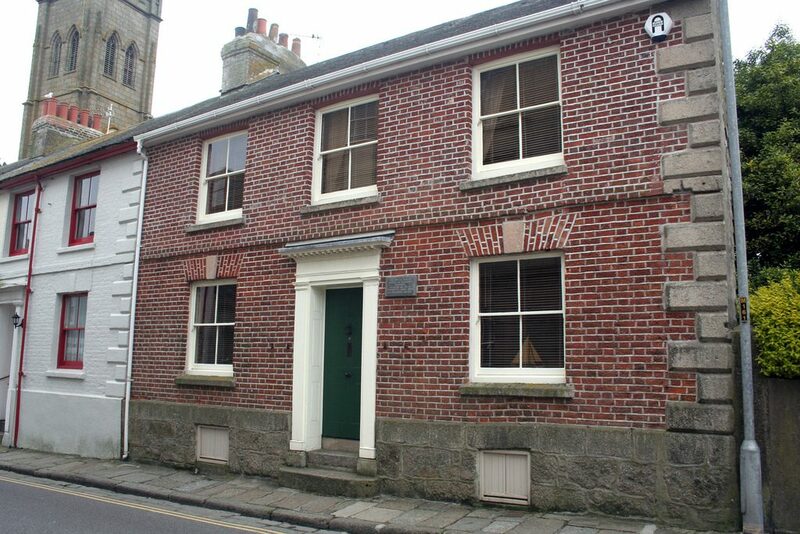 As well as being a tea merchant, he ran a grocer’s shop and owned a number of properties across the town, including the Golden Lion Inn and Tremenheere House. He also served as a councillor and his son Benjamin Carne Branwell, brother to Maria and Elizabeth, served as Mayor of Penzance in 1809. Thomas and Anne died suddenly within a year of each other in 1810 and 1811, and it was this that precipitated the break up of the Branwell family and led Maria to seek employment in Yorkshire. Elizabeth remained in Penzance, living with her sister Charlotte and brother-in-law Joseph, but in 1821 when she heard of the severity of Maria’s sickness she knew her place was at her side. Elizabeth nursed Maria until her death, and then made the life changing decision to remain in Haworth and raise her sister’s children alongside Patrick. Elizabeth, forever known as Aunt Branwell to the Brontës, was 45 when she arrived in Haworth, and she would never see Cornwall again. 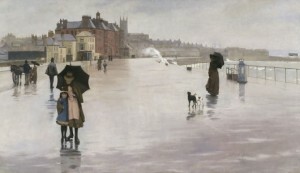 It was a huge move, as she was swapping a comfortable existence in Penzance, and any lingering hope she had of finding a husband, for an uncertain life in Haworth surrounded by people whose accents were unintelligible and amidst a climate she found intolerable. Nevertheless she endured, and became a second mother to the children. Her influence can clearly be seen on the Brontë’s works and lives. Aunt Branwell encouraged them to read and bought them books, later she paid for Charlotte and Emily to attend school in Brussels, and after her death in 1842 it was her legacy that paid for the first Brontë appearance in print. Poems by Currer, Ellis and Acton Bell was a collection of poetry under the pen names used by Charlotte, Emily and Anne Brontë. They had to pay £31 (a substantial sum then) to have the book published, but the funds came from Elizabeth Branwell’s will. It was a smart move, as the poetry led to the novels so loved today. I have seen it plus the chapel where Maria and her family worshipped. I dragged my husband around Penzance until we found them! I’m looking forward to seeing it next week! It’s a pity I’m not there for longer, because there’s so much to see and so little time. 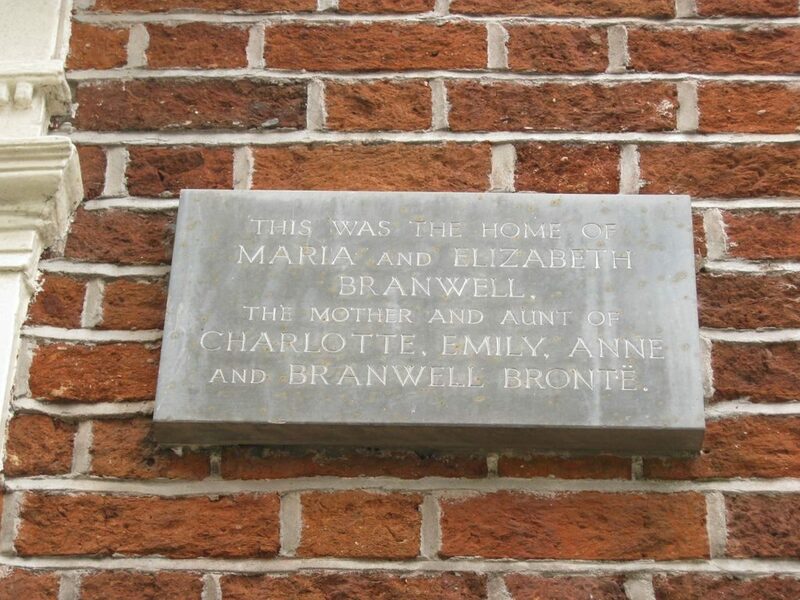 Do you know if there are descendants of the Branwell family around? They were a large family so there should be. Have fun in Penance, I know you will ! I think Emily took after the Branwell side of the family. 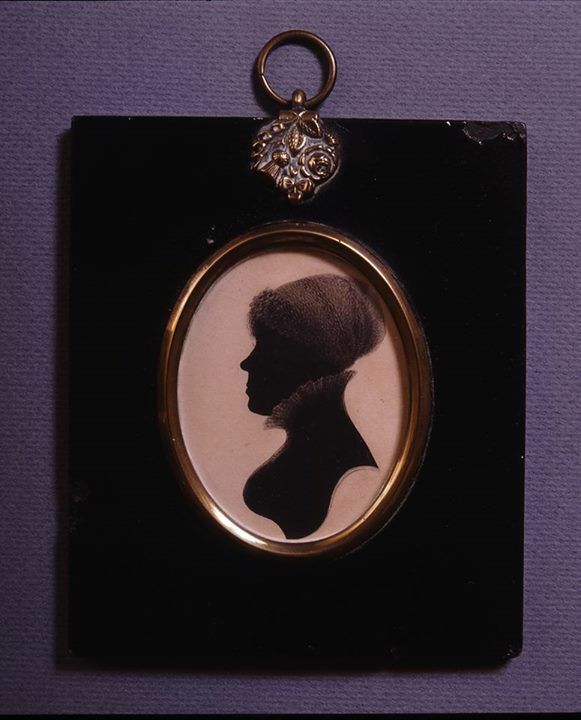 Aunt Branwell ‘s silhouette reminds me of Emily’s portrait in Branwell’s column painting of his sisters. Pronounced lower lip and a more rounded nose than the Brontë side. Thanks for the map. I had no idea Penance was in a protective cove…making weather even more mild than if it was right on the Atlantic . Powerful forces, of nature and nurture came together at Haworth! Double Celt in blood and then a Yorkshire upbringing ! Wow! Thank you so much Diane, I’m really looking forward to reading your upcoming Anne Bronte novel! I lived in Haworth for several years and now live in Cornwall. I noticed the similarities between West Penwith and the moors surrounding Haworth on my first visit then was surprised to find the plaque on the outside of the old Branwell house in Penzance. So nice to find that connection.